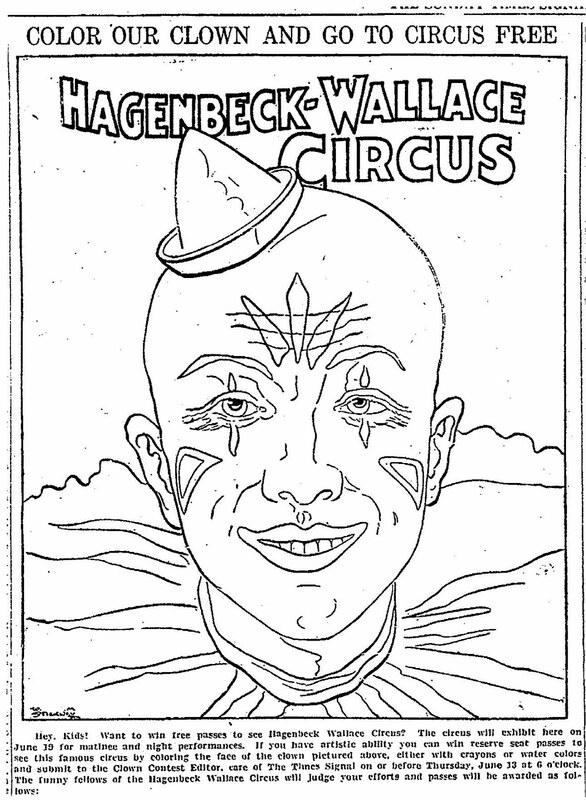 The coloring contest for "HAGENBECK-WALLACE CIRCUS" appeared in an Ohio newspaper in June of 1929. 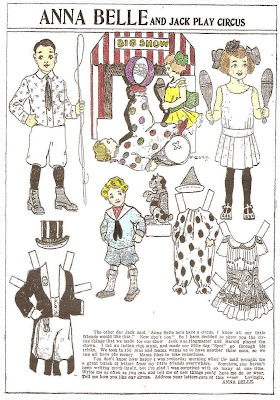 I paired the circus coloring contest with a paper doll from the Anna Belle newspaper paper doll series that ran for many years in newspapers across the country. 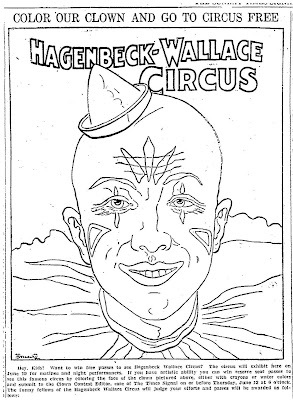 "ANNA BELLE And Jack Play Circus" appeared in newspapers on April 15, 1911. 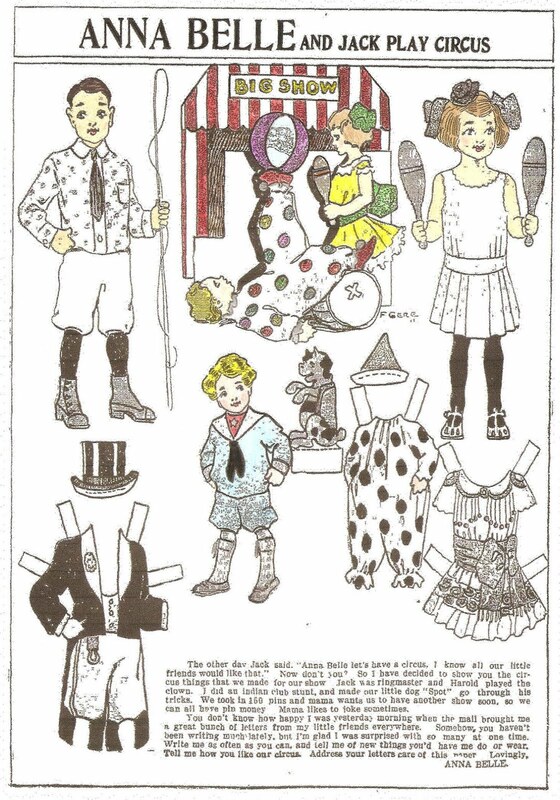 I decided to add a little color to the paper doll.